The Eid Al Adha week presented an opportunity to do somethings we haven't in a long time. Like take a break from the madness. Which is what we wound up doing. 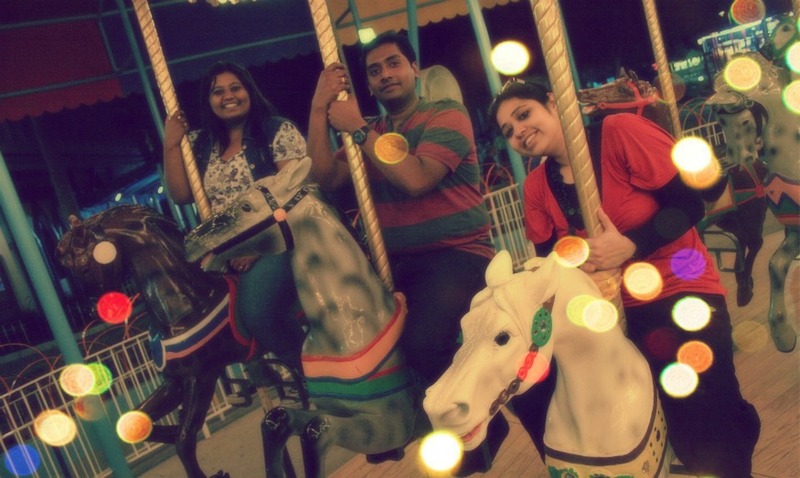 Seen here are Jaya, Subi & Andy goin nuts on one of the rides at the Entertainment City.